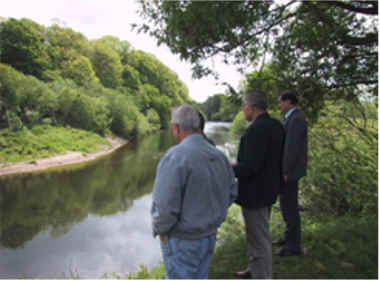 In co-operation with Fisheries Department in Vilnius and Kaunas Food Industry College have LarEll Associated Consultants fulfilled a project on EIA � Environmental Impact Assessment / Improved environmental awareness by training in cleaner technology and introduction of environmental management in the Lithuanian fish processing industry. The fish processing plant UAB Krevete was the pilot plant where the Environmental Management System and the cleaner technologies were implemented and demonstrated. The more than 115 fish processing plants in Lithuania are located all over the country and the effects of the manufacturing activities on the eco-systems � whether that is the Baltic Sea, the lakes, the rivers or the close by living areas are widespread and immense. The Lithuanian fish processing industry includes only four canneries and seven processing plants for filleting and freezing of white fish, whereas more than 100 plants are producing preserves and smoked fish products. Some of these 100 plants are very small and most of them will not survive the ongoing restructuring of the industry. However, there is about 30 medium sized companies for which introduction of cleaner technology will result in improved economy and reduced pollution of the environment. 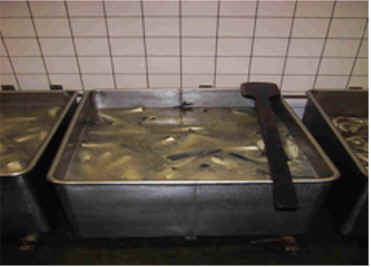 This is the observation and one of the recommendations from the earlier finalised project: �Restructuring the Lithuanian fish processing industry sector � An analysis of the industry�s condition and performance including a strategy for preparing the industry for the Lithuanian admission to EU� in which LarEll were part of the Danish team of consultants. Cleaner technology and fulfilment of demands associated with protection of the environment in general and in line with the regulations imposed on the Industry in the EU has so far been badly neglected in Lithuania both by the industry and by the authorities. Such neglect can within short prove to be a disaster for the industry. The costs of water, of treatment of wastewater and of energy are rising sharply and affect the cost calculations negatively and will lead to in-competitiveness. Many of the companies focus on the nearby markets in Western Europe as the home market is too small to absorb the output of products and as the eastern markets still suffer from the Rouble crisis in 1998. An increasing amount of products manufactured by the Lithuanian fish processing industry will therefore in the years to come � short and medium term � be offered to western hyper- and supermarket chains. The price will be decisive but the image of the industry as polluters of the environment may in these countries negatively affect the consumer�s interest in the products and thus negatively affect the export revenue. Finally, non-compliance with the EU regulations may � when Lithuania becomes a member state � be an obstacle for some companies to future activity either for a period or permanently. Introduction of cleaner technology, training of local institutional technologists in cleaner technology and design, presentation and implementation of an environmental management system for the Lithuanian fish processing industry as described in this project application will help to solve this latent problem. 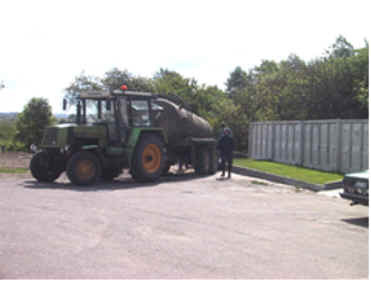 The project included practical assistance to the fish processing industry in Lithuania in training industry employees in methods for cleaner technology and at the same time assisting a selected fish processing company � UAB Krevete � in measuring and analysing the present consumption of energy and water used for production in order to suggest means to optimise the use hereof and in implementing an environmental management system in accordance with the regulations and demands in the EU. Focus was concentrated on all of the technical activities in the fish processing industry that may have environmental effects either directly or indirectly. Such effects are emissions to the atmosphere, discharges to natural recipients or sewers and disposal of solid wastes, all of which originate from the use of fuel, electricity, raw material, water, additives, packing material, etc. The objective was to reduce the consumption and discharges in order not only to protect but also to improve on the environment and at the same time to increase the economic result of the companies in which cleaner technology and environmental management are introduced and implemented. The project was carried out in co-operation with the Fisheries Department under the Ministry of Agriculture, UAB Krevete as model for the industry and with technologists from Kaunas Food Industry College. 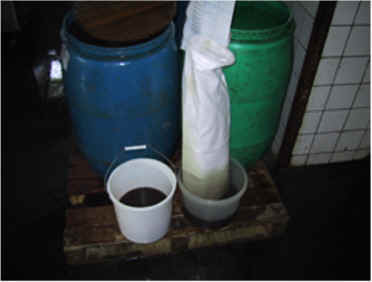 It was � in this way � possible to demonstrate the methods for cleaner technology and the system for environmental management in practise and at the same time to transfer know-how to Lithuanian technologists in order that these after the project conclusion could offer assistance with their new expertise to the fish processing industry in general. The environmental management system was developed for the fish processing industry according to the guidelines and recommendations given in the European Standard EN ISO 14001 recognised by the EU Commission in EU Decision document 97/265/97 of 16.04.1997. The effects of the project was both immediate and long term for the industry as well as for the regions in which the industry is active. 1. Inception / Establishing of project working group in Lithuania. A project-working group was established including one representative from the Fisheries Department, two teachers and specialists from Kaunas Food Industry College and two members from UAB Krevete plus the Danish consultants. The project was discussed in depth within the working group and agreements were worked out for each of the participating groups specifying areas of responsibility. Writing of action plan, revised time schedule and agreements with Lithuanian counterparts after inception visit. 2. Analysis of the model company. The �model� company�s activities and present processing practise was analysed in terms of productivity and cost efficiency. The actual use of water, energy and other commodities and the resulting emissions and wastes was analysed in terms of production output. Phase 2 � Proposals and implementation in �model� company / Technical project. Preparation of proposals and discussions for improvements to reduce use of energy, water and other commodities in terms of production output and to reduce the emissions and the load of pollution to the environment. Preparation of proposals and discussions to improve the cost effectiveness and the environmental situation through reorganisation of the processing lines. Implementation of a management system for cleaner technology and processing in UAB Krevete. Documentation on the proposals for improvements in the �model� company in the form of a �Technical Project� for reconstruction / reorganisation of the processing lines and waste handling was worked out. The documentation was in a form to be used in applying for external financial aid to complete the implementation in UAB Krevete. 5. Presentation and discussion of "Technical Project"
A �Guideline in cleaner technology / environmental management in the Lithuanian Fish Processing industry� was worked out. The results from UAB Krevete and the concept and guidelines for cleaner technology in the fish processing industry were presented to and discussed with the industry, the institutions and the educational establishments in Lithuania at a 1-day seminar. In connection with the proposals for cleaner technologies was a special recycling unit for brine designed, manufactured and implemented at UAB Krevete together with other more conventional cleaner technologies. 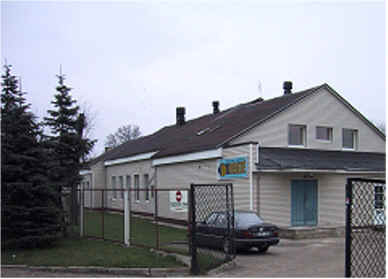 Selected Lithuanian fish processing company. As pilot plant for implementation of cleaner technologies and the environmental management system was UAB Krevete in Priekule close to Klaipeda chosen. A seminar on : Implementation of Environmental Management and Cleaner Technologies in the Lithuanian Fish Processing Industry and How you can save money - was held by Lithuanian Ministry of Agriculture, Fisheries Department, Kaunas Food Industry College and LarEll Associated Consultants on the 23 January 2002 at Kaunas Food Industry College. More than 40 participants joined the seminar. The seminar included a presentation of the results achieved in the demonstration project at UAB "Krevete". More information about the seminar and detailed programme - click here. Nobbing and filleting of fish. River close to UAB Krevete.